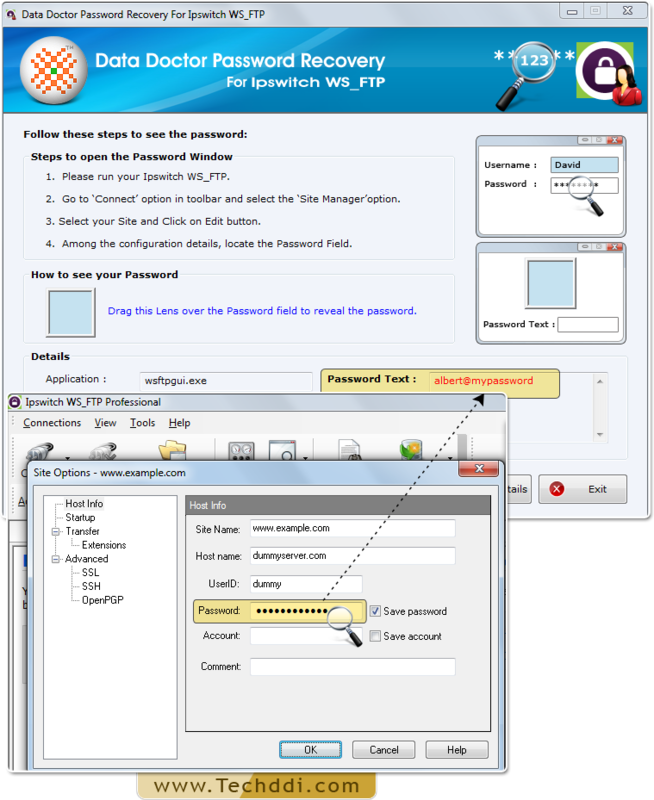 Password Recovery For Ipswitch WS_FTP enables users to get back misplaced and forgotten password from Ipswitch WS_FTP Software. You can even recover password even with special characters. 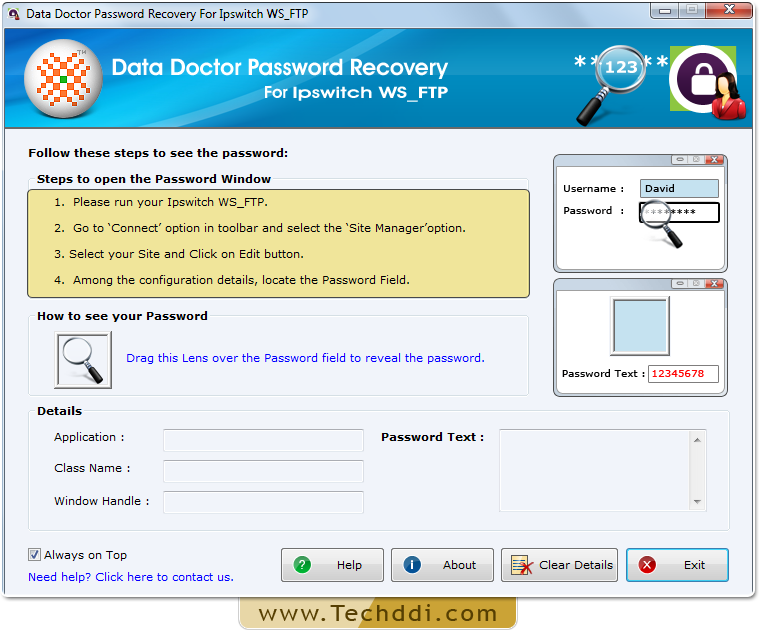 Install and Run Password Recovery For Ipswitch WS_FTP. Go to toolbar to select ‘Connect’ Menu. Go to 'Connect' Menu and Select 'Site Manager'. Go to ‘Connect’ Menu and Select site manager. Get your recovered password in ‘Password text’ field as shown in above screen.